Last year, I made the completely ludicrous decision to commute to New York City from Washington, D.C. for comedy classes — TWICE. When I say “twice” I don’t mean two individual trips. I mean two separate comedy classes consisting of 8 weeks each, equaling 16 weeks of total comedy commuting hell. Did I mention I live in Washington, D.C., about four hours away from New York? Then why did you do it, Biddy?! Why. Did. You. Do. It? ‘Cuz I hads to, peeps. I HADS TO. I got bit by the bug. The comedy bug. And it wouldn’t let me go. It started back in 2012 when I decided to sign up for my first stand-up comedy class at the DC Improv. Needless to say, I loved it — and I kept doing it. I had studied TV and film production as an undergrad (ubiquitous “Communications” degree) and spent a great deal of my spare time writing movie scripts. Jump forward 15 years. I am now a graphic designer and illustrator by profession and unfortunately have precious little time to exercise those writing muscles. Let’s get to the point. I KEPT taking comedy classes. 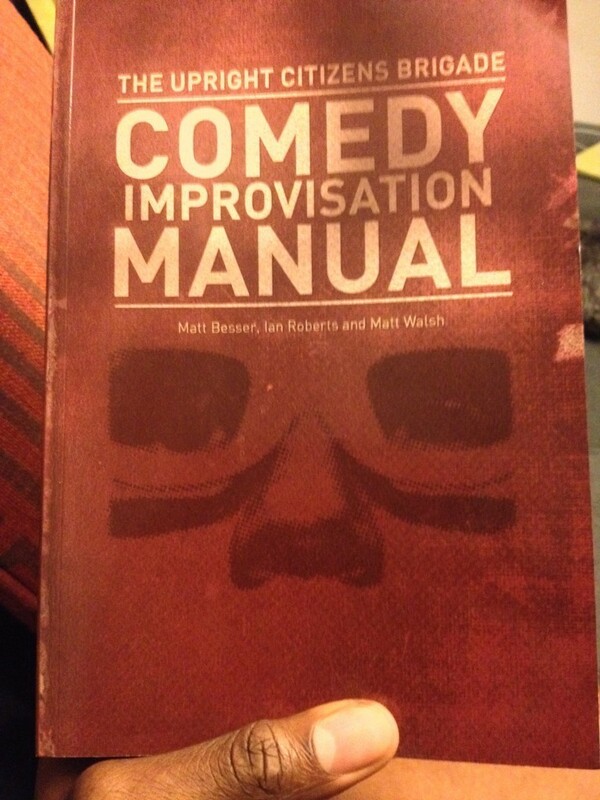 Stand-up, Advanced Stand-up, oh…and then in 2013 — the thing that blew my mind: sketch comedy. I signed up for a 2-day SNL sketch writing course (again, at the DC Improv). 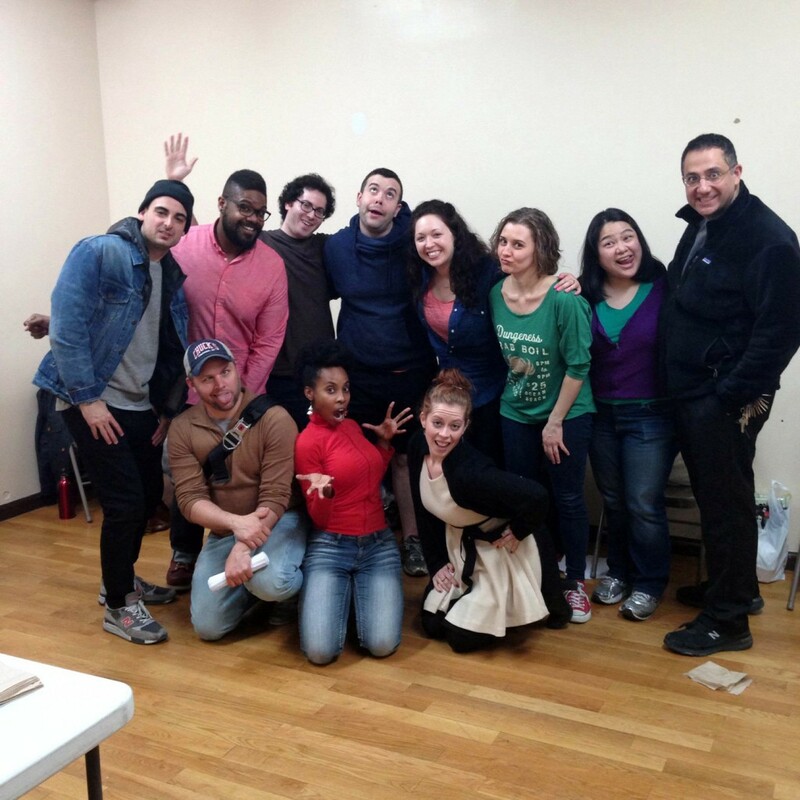 The class was taught by Ali Farahnakian — and seriously, this man is a frickin’ comedy guru. Super sharp mind, folks. In fact, just to give you an idea of what I’m “taumbout,” Tina Fey wrote a hilarious anecdote about their time together as part of Second City’s touring company in Bossypants (which I won’t tell you because seriously, why haven’t you already read this book? Go buy it, then read it (I’ll wait). Sadly, this class was only two days and…I’m going to be honest, I enjoyed it so much I went into a lil’ depression* after it was over. There was something really, really thrilling about writing something on paper, passing it to someone else and then seeing your words come to life. The only thing the person has to go on are the words on the page, so your idea lives or dies purely on the strength of the words you write. JEEZUS. That sounds pretty terrifying come to think of it. But, no (eh…maybe a little?). To me, that’s part of what made it so enjoyable. Graphic design can be highly subjective (“I don’t like that pink.” [It’s actually purple.] “Can we use a different red? “Can you make that logo bigger, and without the pickles?” [The logo IS a pickle for a company called “Pickles Inc.”]) so the directness of the feedback in comedy — did people laugh? — is very rewarding. This is not to say there’s no subjectivity in comedy — certainly there is. Because our individual experiences shape how we see the world, what we find funny varies from person to person. But, by and large there is probably wider agreement on a fart joke than a logo. Pretty sure there’s a study on this. Pretty sure. The old theory of Quantum Fartics. ** Or something. If you don’t already know, Mr. Farahnakian is a former Second City performer and SNL writer (and actor) who started his own comedy school in New York: The People’s Improv Theater. The 2-day class in D.C. was such a thrill I had to jump at the chance to take the multi-week SNL sketch writing course taught by him in New York. So at the beginning of 2014, I made the (again, “LUDICULOUS”) decision to hop on a bus to commute to NYC for a Sunday evening class. Ali Farahnakian and a bunch of people who will definitely be famous one day except for that DB^* with the mohawk again. My next comedy adventure was in July 2014, and took me to The Upright Citizens Brigade (UCB) in New York. Sadly, because I was not smart enough to take any photos to remember my time commuting to UCB, I just have this picture. Of me. Holding a book. In my apartment in D.C. … yay. So…I’ve tried stand-up (enjoy that). Sketch comedy writing (LOVE that). What adventure would improv hold? What adventure? Off to Improv 101! Again, I commuted for 8 weeks, this time on Saturday morning — leaving my apartment at 5:30. AM. YES…A.M. on Saturday mornings (special thanks to my wife for driving me there since the Metro isn’t even open). I would hop on a bus from Union Station to NYC, and then back again to D.C. on Saturday evening. For 8 weeks. NUTZ. I found it very difficult to create an alternate reality without commenting on said ridiculousness of alternate reality. This is in no way a knock on improv comedy. Quite the opposite. What I’m saying is…I have a great deal of respect for improv performers. You’re really putting yourself out there. There’s a willingness to relinquish control that really requires you to get out of your own head and sort of push your ego aside. People say the same about standup comedy, and sure — there’s some truth to that I think (this is coming from a guy that’s only 3 years in) — but improv is sort of like walking a tightrope where you don’t know where the end is or whether you’re gonna fall off…and IS THIS EVEN A TIGHTROPE? Creating something from scratch on stage with other people is a completely different skill. Mad props to y’all. Being around performers helped me understand how to tailor my writing to the performance. Which is something I don’t think I would have grasped as easily had I not been around a room full of people who live to perform. So, in conclusion to this overly long post — comedy taught me a great deal about myself and a great deal about honing creative skills. Even though my day job is primarily as a graphic designer — if I’m being completely honest, there’s nothing in the past few years that has given me a thrill like being in a room with comedy writers doing table reads. If you’re struggling creatively, professionally, or personally (or even all three). I’d encourage you to find a hobby that’s far removed from your 9 to 5. You may even learn something new and exciting in the process. * “Lil’ Depression” is now my new rap moniker. ** Someone please make a Wikipedia page! *** Shout out to Denae who had enough forethought to ask for a group photo to remember our time together as a class. Sooooooooooo many things going on. 2014 has been (and continues to be) a very busy year. So busy, I haven’t had the time to write a proper blog post. So, let me just tease a few things for some upcoming blog posts/releases. A long in progress typeface that attending this Year’s TypeCon finally inspired me to complete. It will definitely be released in 2015. Definitely. Like, I’ll eat a shoe if it isn’t. Well, maybe not a whole shoe. Let’s just say the tongue of a very soft leather boot. Uhhhh…better yet, the tip of a suede moccasin shoe string. Just the tip, though. Okay?! See—that’s how serious I am about this. I WILL EAT THE TIP OF A SUEDE MOCCASIN SHOE FOR YOU TO EXPRESS MY LEVEL OF COMMITMENT. Since I am absolutely terrible at writing regular blog posts, you should check me out on Twitter where I’ve been serving up bad puns and useless information since 2009. 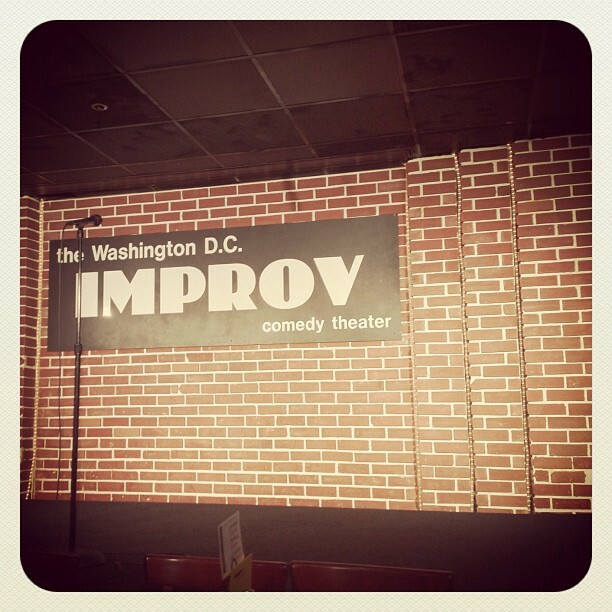 Here’s my most recent set at the DC Improv. Enjoy! We’ve all had ’em. Projects we’ve spent a lot of time on that never see the light of day. This was one of them. I can at least say that I am happy with how it turned out. And yep, I’m still using my own custom typeface here as well. Folks, I’m digging the comedy…so I’m keeping it going. It’s a fun creative outlet that gets me away from the glow of the computer screen. This is my last full set from my DC Improv lounge show in February. If you have about 10 minutes to kill during a lunch break (or any other time), give it a look. As a reminder, the language here is NSFW so please put your headphones on if you’re listening at work. Hope you enjoy!